Broker-dealer says recruiting on West Coast and Northeast now account for about one-third of recruited reps.
Raymond James executives Michelle Lynch, Scott Curtis, Tash Elwyn, Terry Hetherington and Bill Van Law at the '15 Women's Symposium. Raymond James Financial (RJF) just ended its 2015 fiscal year, and the head of its employee-advisor channel says the group has much to celebrate. Overall, the recruiting results within Raymond James & Associates “were strong … and reflect another year of significant movement … and three of the largest teams ever in Raymond James & Associates’ history were recruited in the past fiscal year ending Sept. 30,” said Tash Elwyn, who leads the channel, in an interview with ThinkAdvisor on Thursday during the Raymond James’ 21st annual Women’s Symposium in St. Petersburg, Florida. One team, the Americas Group, has about $2.4 billion in assets (both retail and institutional), and moved to the firm from Morgan Stanley (MS). The other top groups that came on board are Quattuor Capital Partners in New York, which has about $900 million in assets and previously worked for JPMorgan (JPM), and the Spanos Group of Beaver, Pennsylvania, which was previously with Bank of America Merrill Lynch (BAC) and has about $535 million of assets. (This year’s Women’s Symposium includes more than 300 female advisors with Raymond James (RJF), about 200 guests and 23 prospective female registered reps from other broker-dealers – several of whom have committed to move to Raymond James, according to Michelle Lynch, head of the Network for Women Advisors. This fiscal year, the recruiting news for the company’s employee channel could be good again. One reason Raymond James & Associates may pick up more teams this fiscal year is its emphasis on geographic markets that “are newer for us,” the executive said. About one-third of RJA recruits are from these two markets. Another factor driving the recruiting momentum has to do with broader industry shifts. 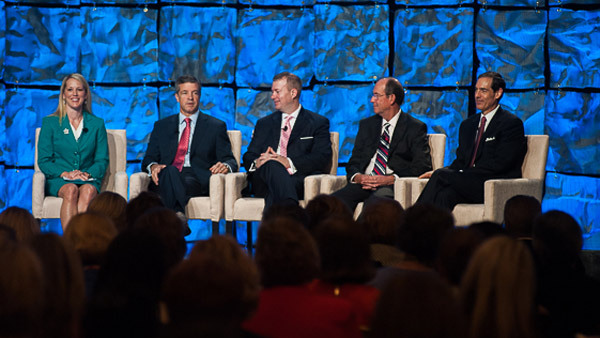 — Check out Raymond James Hosts 21st Women’s Symposium on ThinkAdvisor.